JAY-Z-inspired “Make This Song Cry,” K. Michelle taps Yo Gotti and O.T. 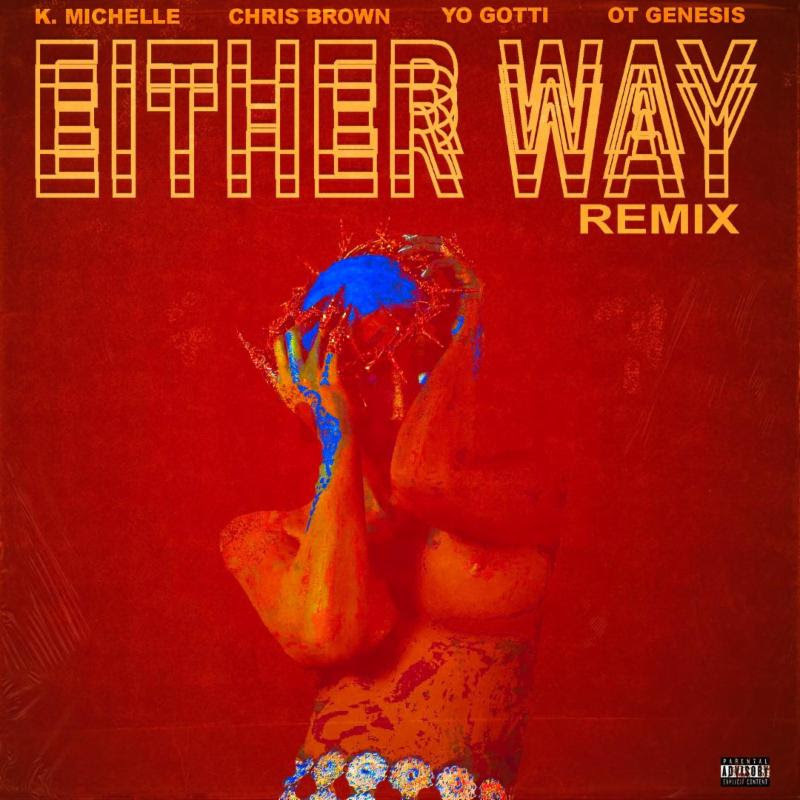 Genasis for the remix to the Chris Brown-assisted “Either Way.”The song starts off like the original version, with its leading lady referencing Hov once again. “Diamonds up like Jay, crazy on my Kanye,” she sings. “I need someone to do, somewhere to play. After Breezy’s melodic chorus and his own raunchy verse, in which he says his girl “got booty like K. Michelle,” Yo Gotti and O.T. contribute some braggadocios bars. “I come from the bottom, I ran up a check,” raps Gotti. “I got a whole lot of paper,” adds Genasis. “I got a whole lot of haters.